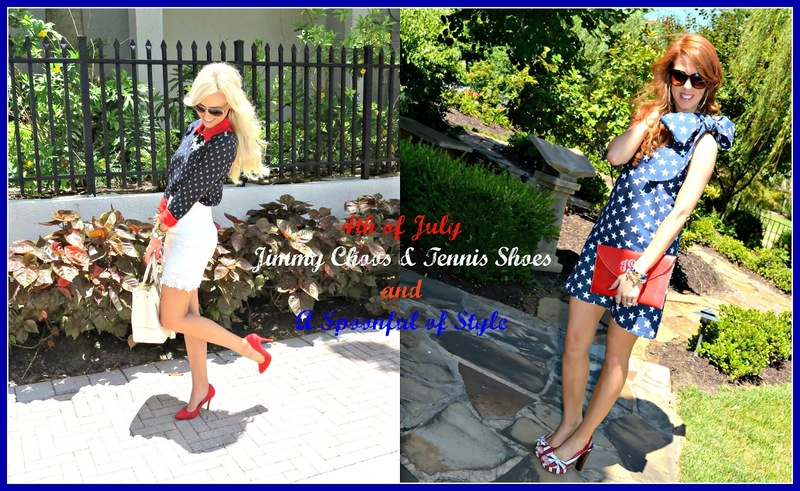 Today I am teaming up with Tara from Jimmy Choos and Tennis Shoes again to show you all how we styled outfits for one one of my favorite holidays, 4th of July! I love dressing up for 4th of July! I love how it automatically takes on a sort of Nautical theme, which is one of my favorites this time of year! I adore Tara's style! Her look today is one of my all time favorites of hers! How adorable is the print of this dress? and her shoes! She always looks so put together and effortless! If you haven't already, go check out her Blog and be prepared to be inspired! How fun is this white statement necklace and matching bracelet form Tryst Jewellry? If you haven't checked them out you must! And if you love jewelry as much as I do you won't be disappointed! This skirt is one of my favorites form J.Crew! And it is currently on sale! I highly recommend getting your hands on one because it will be a staple in your wardrobe! Love this red white and blue look. Gorgeous! You look so pretty! I love this look. That skirt is so gorgeous. Such a cute outfit! Love that skirt..
Too cute. Love the colors. 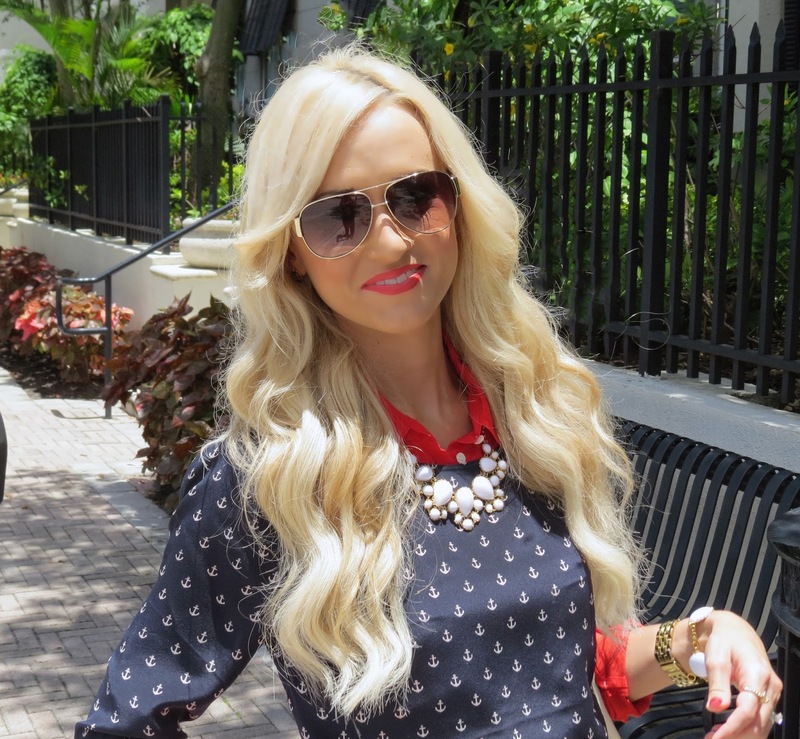 This is seriously the cutest 4th of July look! I love both looks! Your nautical outfit is so much fun Jade. Love both looks! Nautical is one of my favorite looks! Superb white and black combination... If you want latest fashion and quality shirts its a best time to buy these shirts its reasonable and affordable price for every one..